The Bankruptcy Court for the Eastern District of North Carolina recently handed down an important decision governed by the Bankruptcy Abuse Prevention and Consumer Protection Act of 2005 (“BAPCPA”). 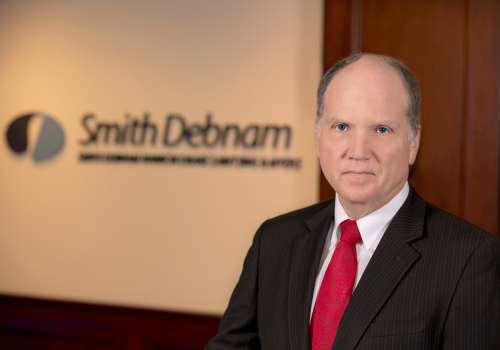 Its ruling in In re Alexander has garnered nationwide attention and has led to a split in other regions of the country regarding the analysis of a debtor’s calculation of “disposable income” under BAPCPA. The effect of this decision? Unsecured creditors will receive less or no payment at all in cases where they may have otherwise received a dividend. In Alexander, the court considered twenty-five proposed Chapter 13 plans, all of which provided for early termination. This early termination was to take effect once allowed secured, priority and administrative claims were fully paid inside the plan. The Chapter 13 trustee objected, contending that the debtors were attempting to end the plans sooner than the applicable commitment period without full payment to unsecured creditors. The debtors argued that some claims might be allowed for less than anticipated and, therefore, the early termination of their plans should be considered. In determining the definition of “disposable income” under BAPCPA, the court held that disposable income is current monthly income minus reasonably necessary expenses. Current monthly income includes the average monthly income from all sources that the debtor receives during the six-month period preceding the commencement of the case or a date upon which the current income is determined by the court. The court continued its analysis by considering how to calculate “projected disposable income” as a result of this definition of “disposable income.” Essentially, the court determined that projected disposable income is the same as disposable income and ruled that the formula should be based on a mechanical test using past income data. The court held that to determine projected disposable income, a debtor multiplies his or her disposable income calculation by the length of the applicable commitment period. To determine the length of the applicable commitment period, one must look to BAPCPA. In a case involving an above-median debtor with projected disposable income, the applicable commitment period is five years; however, if the debtor does not fall into that category, the applicable commitment period is three years. BAPCPA further provides that a plan can only be shortened if the debtor fully pays his or her allowed unsecured claims over a shorter period of time. The court in Alexander concluded that the applicable commitment period is linked to projected disposable income and, therefore, it only comes into play when projected disposable income must be taken into account. Accordingly, the court held that a debtor who does not have projected disposable income should not be held to an applicable commitment period. The Bankruptcy Court in the Northern District of Texas has taken an opposing view in In re Hardacre. That court held that the term “projected disposable income” is not the same as “disposable income.” The court in Hardacre ruled that projected disposable income should be based on the debtor’s anticipated income during the term of the plan. In other words, this figure should be based on the income the debtor reasonably expects to receive during the term of his or her plan. At this time, twenty-six districts have embraced the Hardacre view, eleven districts have agreed with the decision in Alexander, and eight districts are split on the issue. It is in creditors’ interests to continue to monitor bankruptcy courts’ responses to this issue. Both the amount of projected disposable income a debtor must commit to a Chapter 13 plan and the length of a debtor’s Chapter 13 plan can greatly affect the amount unsecured creditors can expect to receive on their claims within the context of a bankruptcy proceeding.